US owner of The BenRiach Distillery Company, and producer of Jack Daniel’s Tennessee whiskey. Today Brown-Forman is one of the largest wine and spirits producers in the world, and owns the biggest-selling American whiskey, Jack Daniel’s. Its portfolio also includes Woodford Reserve and Old Forester Bourbons, Herradura and El Jimador Tequilas, Finlandia vodka and Chambord liqueur. The company’s first foray into Scotch whisky came with the acquisition of the distribution rights to Glenmorangie in 1991, though the deal ended when the distiller was sold to Moet Hennessy in 2005. Brown-Forman’s first fully-owned Scotch whisky brands came with the acquisition of The BenRiach Distillery Company in 2016, which came with the Benriach, Glendronach and Glenglassaugh distilleries. Although it has operations all over the world, Brown-Forman is headquartered out of Louisville, Kentucky where it also operates a distillery and cooperage. Brown-Forman may be owner of the world’s biggest-selling American whiskey, but as with many historic success stories, its beginnings were humble. In 1870 pharmaceuticals salesman George Garvin Brown set up a wholesale liquor business, JTS Brown, with his half-brother John Thompson Street Brown, using US$5,000 in saved and borrowed cash. The brothers began selling whiskey by the bottle – an innovative approach at a time when most liquor was sold by the barrel. However the partnership soon fell apart, and George Garvin entered a new partnership with his accountant, George Forman, creating a new company they named Brown-Forman. During Prohibition the company was one of the few businesses granted a licence to bottle whisky for medicinal purposes, and to keep its customers in supply it acquired the Early Times distillery (which it never ran) and its entire stock, which was shipped to its government-designated warehouse in Louisville. The continued supply of Early Times during Prohibition made it the number one whiskey in America for many years following Repeal. In 1941 Brown-Forman purchased the Labrot & Graham distillery (renamed Woodford Reserve distillery in 2003), and went on to acquire the Jack Daniel distillery in Lynchburg, Tennessee in 1956. 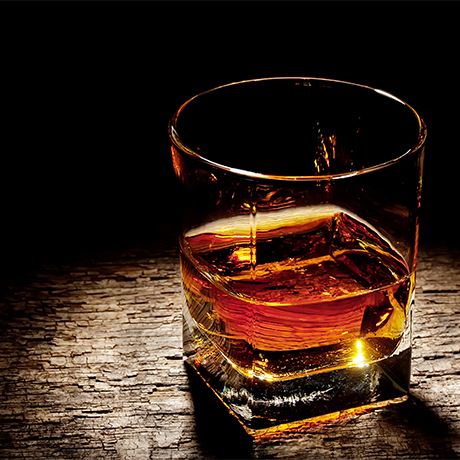 By 1960 Brown-Forman had recorded net sales of over $100 million; just 40 years later the figure had reached $2 billion. In 2014 the company revealed plans to build a new distillery on Louisville’s West Main Street to produce the Old Forester brand, and just a year later acquires Slane Castle Irish whiskey, which was in the process of building its own distillery in County Meath, Ireland. The company continued its acquisition spree with the purchase of Scotland’s The BenRiach Distillery Company in 2016, which included the Benriach, Glendronach and Glenglassaugh distilleries. The purchase marked the group’s first steps into the ownership of Scotch whisky brands. Members of the Brown family remain engaged with Brown-Forman, which is today a publicly traded, family controlled company.